Pocket pens are a genuine Japanese invention. 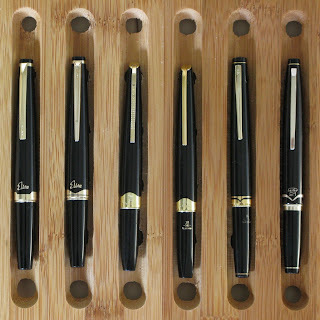 These are pens with very long sections and caps, and very short barrels. The cap, however, fits tightly on the barrel when posted making a full size pen to write. Indeed, these pens need to be posted to use them comfortably. Pilot was the company that launched this idea in 1968, and the rest of Japanese companies followed suit soon afterwards. (This is not correct—the first pocket pen was released by Sailor in 1963). Some Pilot, Platinum, Sailor and Morison pocket pens. One of the most successful models was, needless to say, the Pilot Myu 701, to the point to become a cult pen about thirty-something years after it was released. Pilot Company itself contributed to this situation by taking it as the inspiration for the M90 model designed and marketed to commemorate the 90th anniversary of the firm. 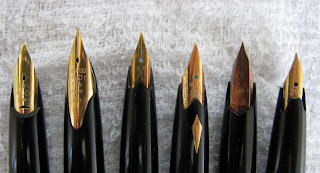 All look alike: Pilot, Platinum and Sailor. Just a coincidence? 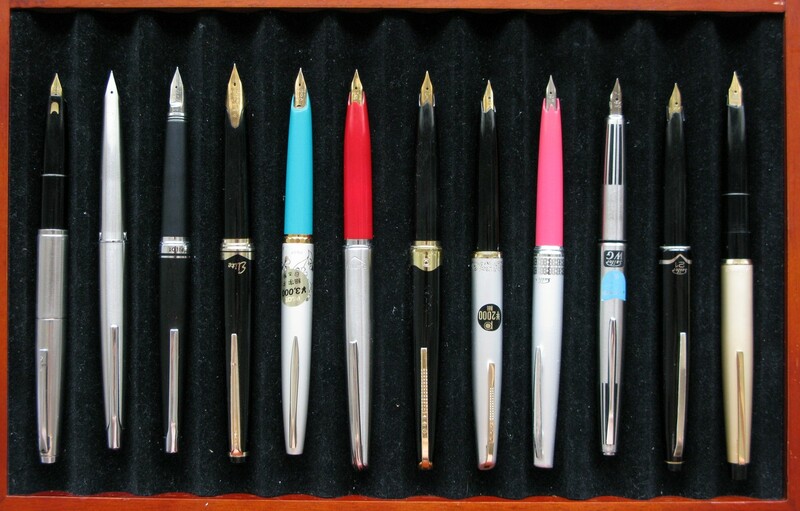 These pens came in a number of styles and materials, making them expensive or cheap. 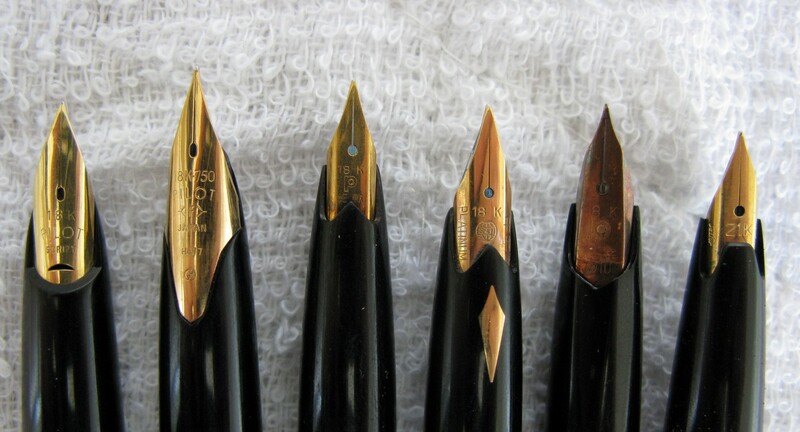 There was no status associated to the fact of using a small pen, and you could indeed find beautiful nibs in 21 or 18 K gold as well as small steel nibs. At the same time, the trends were often copied by the rest of Japanese manufacturers, always having a close eye on their direct competitors. 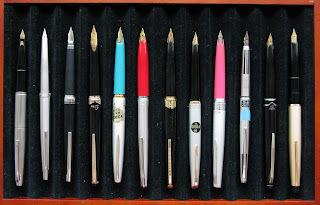 The nibs of the six pens shown in the previous pic. 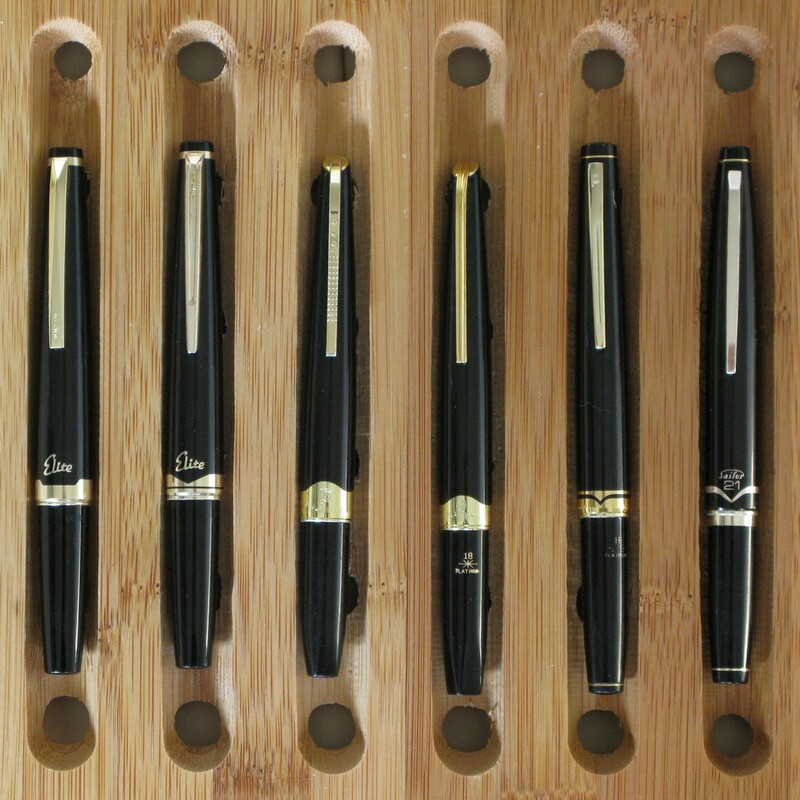 These pens are truly interesting to follow, and –more often than not— inexpensive to buy. Unfortunately, they seem confined to the Japanese market. A ver... voy a arriesgarme. Así ... a boleo, mmm... por decir algo ¿la primera empezando por la izquierda?